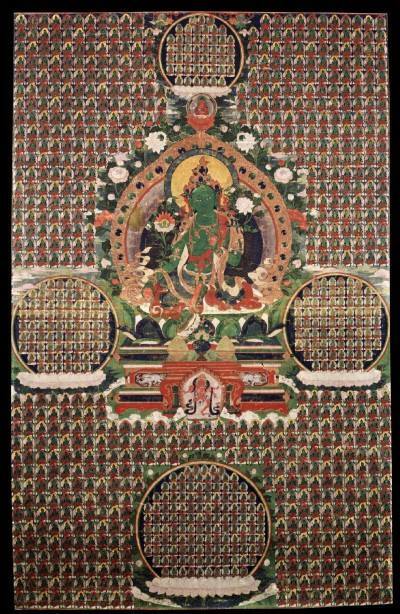 Above 1008 Green Tara's for your consideration. Here's a PDF of some holy places of the Buddha taken in 2009. I added Buddhaghosa's Dhammapada Commentary to the right list of links. I'm on the dying days of the Buddha in The Life of the Buddha. I guess I've been reading it since 2003, but I recently picked it up and will probably finish it. I'm really enjoying Awakening Through Love. Ananadi really liked the bits I read to her the other day. Book Study: Guided meditation, followed by a paragraph-by-paragraph study of Refuge Recovery. Guided meditation, followed by fellowship. Call 641-715-3580, access code 431384# for live meetings. Call 641-715-3589, access code 431384# for recorded meetings.